In August 2005, Sauvo Public Library moved into the newly renovated old dairy.The library building also houses the municipal youth centre. By making use of and renovating the old buildings for new purposes the municipality has been able to preserve local history and create a village centre with multiple layers of buildings from different eras. The dairy was closed in 1955. The property was then used for small industry until the municipality started redeveloping it into a library. 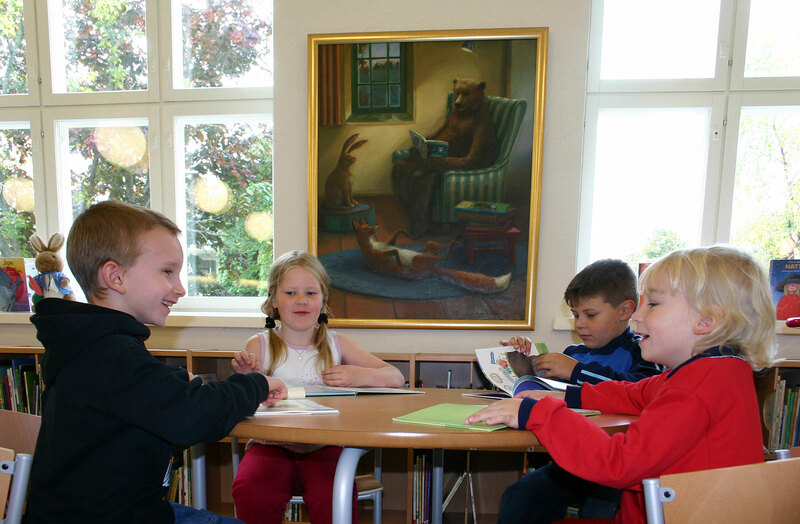 The library is located near the local schools and school pupils form the biggest user group of the library. It is a meeting point, and the pride and joy of the locals. The programmes offered by the library are developed and planned in cooperation with local partners. The exhibition space in the library can be booked for e.g. art exhibitions. The children's department has been designed to make it easy to rearrange the space for concerts and the like. Several music playschool groups meet weekly in the youth centre.